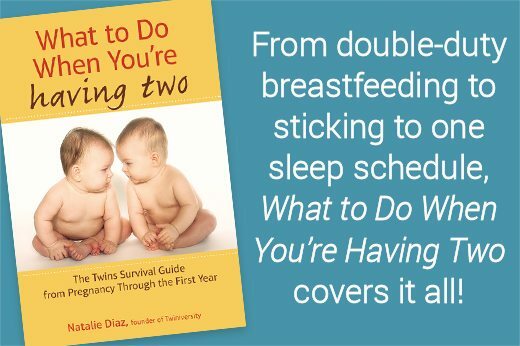 Diaper changes, nap times, getting dressed, and meals can be difficult to navigate with one baby. When there are two, and twice as many baby items to juggle, there are twice as many opportunities to derail even the best laid plans. 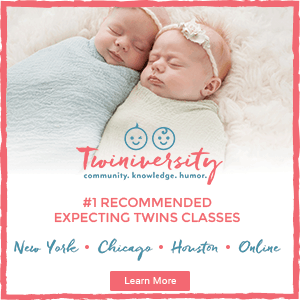 With a little bit of creative planning, and some luck, you can spend less time juggling and more time enjoying double the joy with your twins! If there is one thing I dread, and know I don’t have time for, it’s running to the store to replenish those stock baby items. Baby wipes, formula/baby food, diaper cream, and diapers are great to keep stockpiled if you can. You can even repurpose those giant diaper and wipe boxes and use them as under the crib or under the bed storage. Don’t have the space? Investigate stores and brands that will automatically ship items to you (such as Amazon Moms “Subscribe & Save”), or deliver to your door. While the kids nap or play, cook and freeze meals for the week and lay out the lunch or dinner spread. I buy large quantities of meats, and cook them in advance, then divide them into individually portioned sandwich bags and freeze them to be taken out for meals as needed. It sounds simple and obvious, but when two babies are very vocally demanding their meals, ten extra minutes of meal prep can make a difference. You may find it worth your while to invest in the travel version, or collapsible version, of some of your large baby items. I can’t rave enough about my collapsible, traveling high chairs. These are made by a company called Ciao Baby and they collapse just like a camping chair. Go-Pod makes a collapsible saucer seat as well. These items are great for packing in the car or for using outside or around the house if you don’t want to move or store their bulkier counterparts. This was a tough one. My husband had to convince me we needed a play yard and set it up in front of me while I cried. I knew that in our current living situation it was necessary, but it felt like “baby jail”. 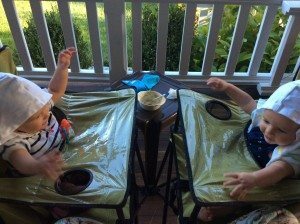 The truth is, my twins have grown to enjoy their own play space, and it served as a buffer in the early winter months when I wanted to avoid germ sharing between the girls and their older, school-aged cousins. 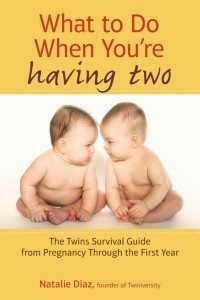 Lay out whatever you can beforehand in the areas that your twins will be using. For me, this means setting out bowls, certain foods, utensils, sippy cups, and bibs for breakfast the night before. In the mornings while my girls are playing in their play yard, I lay out their sleep sacks, pacifiers, and bunny toys up in the bedroom. While the girls are taking their morning nap I take two minutes to set up for lunch before taking time for myself. 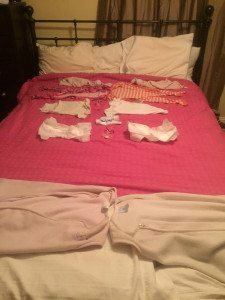 And at night, my bed looks like a step-by-step baby dressing station just before my husband and I begin the bath time routine for the babes. Sometimes prepping for even the smallest of tasks can make a big difference. When you’re out of the house, always have a couple of special toys, music playlists, videos, or snacks that you can pull out when things get wild and crazy. For my girls, it’s their board books. We read a lot, but they know that I usually don’t leave their books lying around because they’ve been known to chomp on them. If they’re having a real meltdown though, I know I can hand them a board book and they will sit down giddy with the thought that they were just given a special treat, and quietly flip through the pages. Recognize when you are better off doing things yourself, and when extra hands are needed. If you decide to ask for help, make sure it’s the help you need. Sometimes, friends and family playing with the twins can be a great distraction so I can do laundry, clean, or run errands. Other times, I ask friends and family to assist with those tasks so that I can spend time with my children. It was important to me to keep track of milestones and maintain baby books and photo albums for both of my girls. During the newborn phase, it was much easier to take out books and photos and document important moments. Now that my girls are toddlers and into everything, these things have to wait till the girls go to bed. By then though, my brain is usually filled with a hundred things I need to do. I found that jotting down dates, times, names, and small moments in my cell phone helped me keep track of all the important baby book worthy moments. I even kept a running list of nurses I would see daily while our girls were in NICU. 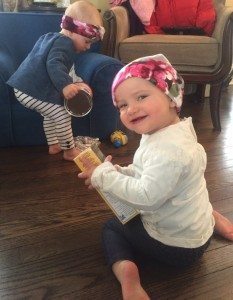 By the end of our twins’ hospital stay, I could thank each and every person that cared for our girls. I’d like to quote Amy Poehler by utilizing her phrase, “Good for you, not for me.” Feel free to apply this to any area of your life, but especially when you’re feeling the pressure to conform to the schedules or routines of your parents-of-singleton-friends. 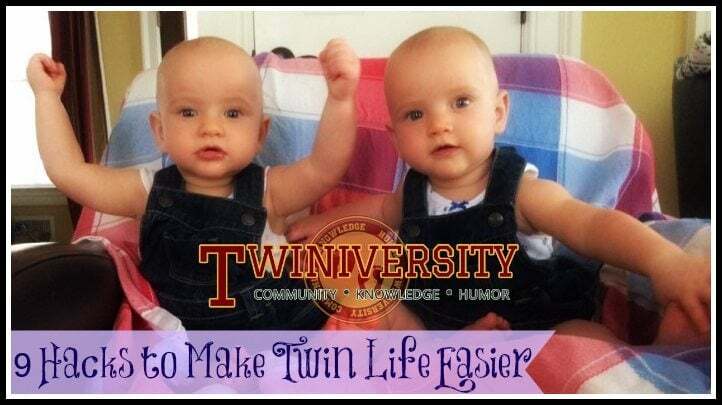 I have found that part of the excitement of twin life is forging our own path. We test out some plans, and let some things happen organically. Enjoy the unexpected moments and learn to laugh. Evaluate the things that are really important to you, and surround yourself by people that enhance and support your new-found lifestyle…and can occasionally babysit! 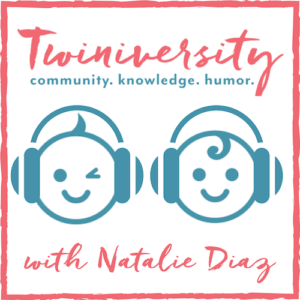 Juliette Mason is a WAHM from Long Island New York, and mother to identical toddler twin girls, Ginger and Hazel. She runs a small accessories business on Etsy, and owns a tattoo shop with her husband. Juliette has an undergraduate degree from Fordham University, and a masters in art education. Mason was a private piano teacher for 15 years, and is a licensed Zumba™ instructor. She enjoyed years of cross country traveling with her husband, and looks forward to making new memories on the road with her girls. 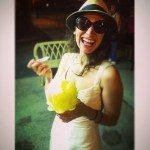 You can read more about her bohemian lifestyle with twins, art, music, and reviews at Jujulemon.com.